Welcome to 4Dreamland.com. Home of the top selling The UFO Anthology UFO Series the most comprehensive presentation ever produced on the topics of UFOs in History, UFOs Described, UFO World Report, UFO Government Cover up, Secret UFO Government projects and more. But the The UFO Anthology UFO Series doesn't stop with UFOs. Explore the entire history of mysterious UFO related cattle mutilations worldwide, Alien abductions and the history of Crop Circles. All of this presented with hundreds of photos, over one hour of never before seen UFO videos and interviews with top UFOlogist and researchers. 4Dreamland.com is also a web site featuring quality UFO products derived from the original UFO Anthology production not available anywhere else. 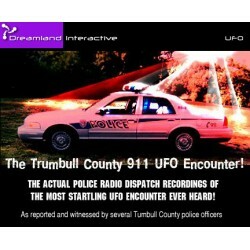 4Dreamland.com and it's products have been featured and reviewed on major national and international television shows like "Sightings" "Strange Universe" and dozens of radio shows including Art Bell and Jeff Rense among others.